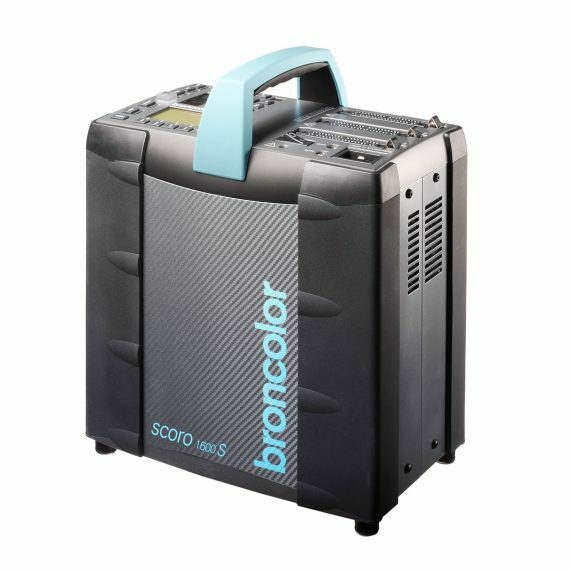 Broncolor Scoro 1600 S WiFi Pack | Beau Photo Supplies Inc. Thanks to the numerous power distribution options at constant light quality, many of them unique, the Scoro 1600S WiFi pack is the ideal light source in professional photography. Charging times as short as 0,02 s, a 10-f-stop control range at constant colour temperature, colour temperature adjustable in 200 K intervals, and three independent channels with precisely the same colour temperature are just a few of its functions for outstanding pictures. Maximum control range: over 9 f-stop intervals or over full 10 f-stop levels in whole or 1/10 f-stop intervals. Sync port, photocell, infrared and RFS receiver for flash triggering (all can be switched off separately). Visual and audible flash monitoring.